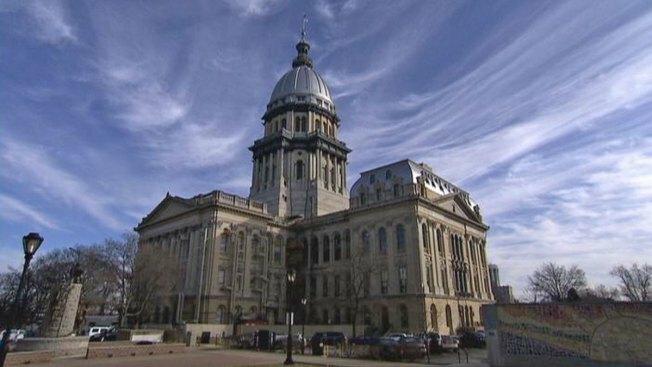 The Illinois Supreme Court on Friday struck down a 2013 law that sought to fix the nation's worst government-employee pension crisis, a ruling that forces the state to find another way to overcome a massive budget deficit. The decree puts new Republican Gov. Bruce Rauner and Democrats who control the General Assembly back at the starting line in trying to figure out how to wrestle down a $111 billion deficit in what's necessary to cover its state employee retirement obligations. The hole is so deep the state has in recent years had to reserve up to $7 billion — or one-fifth of its operating funds — to keeping pace. Most states faced the same public employee pension crisis, exacerbated by the Great Recession, and took steps to remedy the problem. But Illinois balked for years at addressing the crisis until former Democratic Gov. Pat Quinn and fellow Democrats who control the General Assembly overcame opposition from union allies and struck the 2013 deal, amid warnings that it might not pass constitutional muster. After the General Assembly and Quinn adopted the changes in December 2013, retired employees, state-worker labor unions and others filed a lawsuit seeking to invalidate the law on constitutional grounds. The high court opinion means the state must keep its pledge on pensions. It also would have delayed the retirement age for workers aged 45 and younger, on a sliding scale. Workers would have had to contribute 1 percent less to their retirements and the pension agencies would have been allowed sue the state if it didn't contribute its full annual portion to the funds. Those were additions to help the matter survive a court challenges.